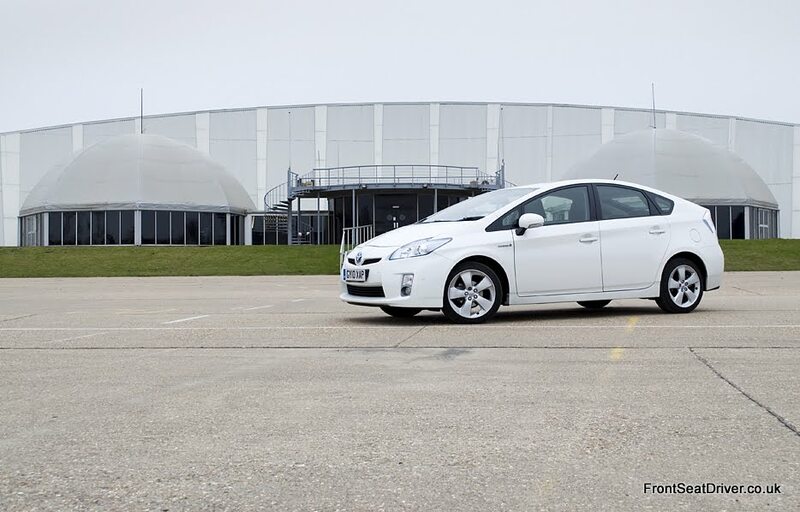 The Toyota Prius is very definitely the poster child of the eco generation, with Hollywood stars, politicians and the like all clamouring to be seen behind the wheel of what is perceived as the greenest car on the road. And so we had to join them. The first thing to strike you is that the Prius is actually a very attractive vehicle. The basic shape of the body, a long wedge, looks great now that there’s been some extra detail added, such as the sharp lines down the side and steeply cut off rear end. 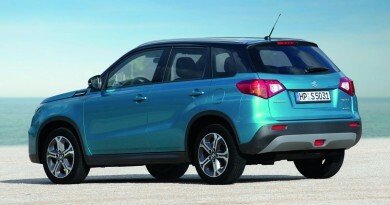 This third generation car is a world away from the early versions. As you step inside, it’s obvious there’s been some weight saving exercises, as when a ham fisted oaf like me slams the door closed too hard there’s a tinny twang as the thin metal skin on the doors visibly vibrates. 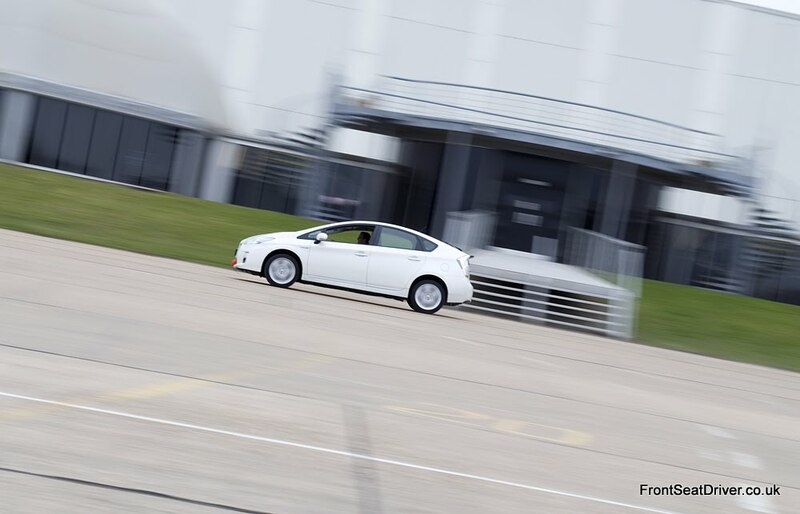 However, for most people it’s kept to a quiet thud, and that’s the first reminder that to get the most out of the Prius you’ve got to be gentle. The interior is an interesting place, with a large beam separating the driver and passenger attracting your attention initially. It’s an odd texture, plastic yet somehow unusual, feeling quite brittle but also very solid at the same time, and that’s because the interior plastics are made from natural fibres, mostly kenaf and ramie (look them up!) It’s all top quality, and supremely well screwed together. The beam holds a sizeable cubby hole where, on one event, we placed the keys; there’s keyless entry and starting, so this enabled any of the team to jump in the car and drive without worrying about who had the keys. Above that is the gear lever, although with the option of just Drive and Reverse, there’s not much choice. There is a ‘B’ option, and that increases the effect of the regenerative braking, charging the battery more quickly as you let go of the throttle. Up front there’s a digital display showing speed and a hybrid indicator, explaining in simple graphic form what combination the engine and motor are working in. It’s mesmerising at times, and you can’t help but challenge yourself to see how little you can use the engine. That’s helped by a head up display that projects your speed on to the windscreen by default. You can also choose to display an eco-meter, showing in a simple bar form how well you’re driving, again subconsciously egging you on to improve. There’s also an option to project sat-nav directions on screen, which is an obvious benefit when you’re on the road. It’s just a shame the sat-nav was unfathomable. It’s not often you have to stop to program your destination, but that’s what was required, and is common among many Toyota models. However, the system has now been upgraded and hopefully far easier to use – we’ll let you know next time we get a chance to play. Once you’ve left the car park behind, it’s all pretty reasonable. 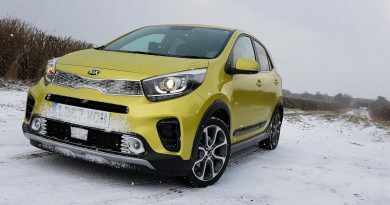 Pulling away silently, as the car runs entirely on battery power briefly before being accompanied by the petrol engine, there’s plenty of torque for buzzing around town. The suspension is surprisingly firm, so it’s very easy to tell exactly what kind of tarmac you’re driving over, but it’s never uncomfortable. To aid economy in town, the engine also turns off frequently, and always when stopped, but always comes back on smoothly and instantly. The CVT gearbox never needs to hunt for ratios, given the infinitely variable ratios a CVT provides, so there are never any jerky changes or pauses while it selects the right gear. It’s smooth, quick and quiet. That’s translated to roads outside of the city, too. Cruising the roads of Lincolnshire, the Prius never felt underpowered, despite the bulky batteries being carried around under the rear seat and the weight of the electric motor. Somehow Toyota have shaved off enough weight that the car tips the scales at around 1.3 tonnes, which is almost identical to the current Ford Focus. So it’s got reasonable power, is light enough, and has quite stiff suspension, and that means it’s surprisingly agile around the twisty bits. Despite the thin energy-saving tyres, the car is pretty well balanced, drifting to understeer when pushed too hard, but remaining controlled and controllable throughout. 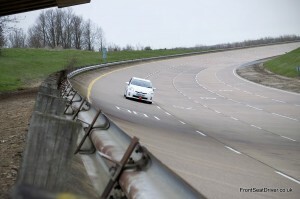 Even when we took the chance to push the car beyond its limits at Millbrook Proving Ground, there were no surprises. 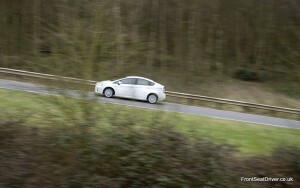 The Prius even coped with reversing at 30 mph before spinning round, and multiple airborne leaps over a sharp crest. It’s well built then. And quiet, aerodynamic, powerful enough (we got 122 mph indicated at one point), spacious enough, handles well, is well equipped and looks good. But what about the economy, the Prius’ raison d’être? 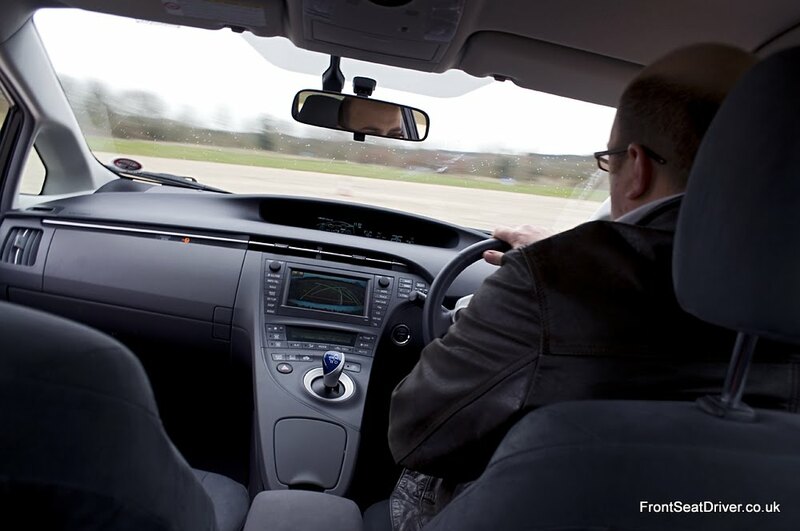 The official figures show that 72.4 mpg is the all important combined economy figure. While driving around 120 miles of flat, fast country roads, we were averaging just over 50 mpg. More impressively, we averaged 21.2 mpg during our day at Millbrook! 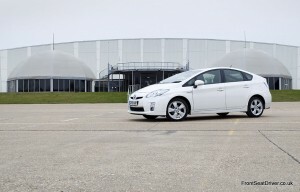 The Prius performed far better than anybody expected. It put up with more abuse in one day than most cars get in a lifetime, yet still it started first time, took us home in comfort, and returned 50mpg throughout. Honestly, we didn’t want to like the Prius, but it won us over. 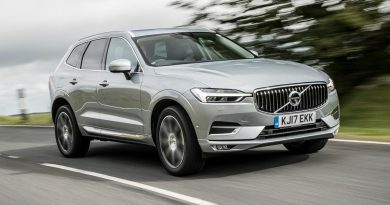 It’s so much better than we expected it to be, and we’d be quite happy to drive it as a family car without a second thought. There’s just one problem, and that’s the £24,000 price tag. At that point the Volkswagen Golf BlueMotion suddenly looks very appealing, costing around £5,000 less, offering similar economy, and also being exempt from road tax. If you want frugal motoring above all else, then the Golf is the way to go, but in doing so you’re not making any kind of statement. You’re just being normal. The Prius makes the statement that you’re doing something, anything, for the environment, and you intend to continue doing so. Spend the extra and you’ll share something in common with Brad Pitt, Cameron Diaz, Harrison Ford, Ted Danson, Tom Hanks and Will Ferrell, rather than Geoff and Howard from the accounting department.